Sport, M-Sport, Sport, M-Sport, Sport, M-Sport. Choose your title! More research and some comments from our astute readership seems to confirm that the official title of this car is 540i Sport in the USA, though it includes items labeled as M-Sport within that package. Thanks to everyone for their commentary and following! 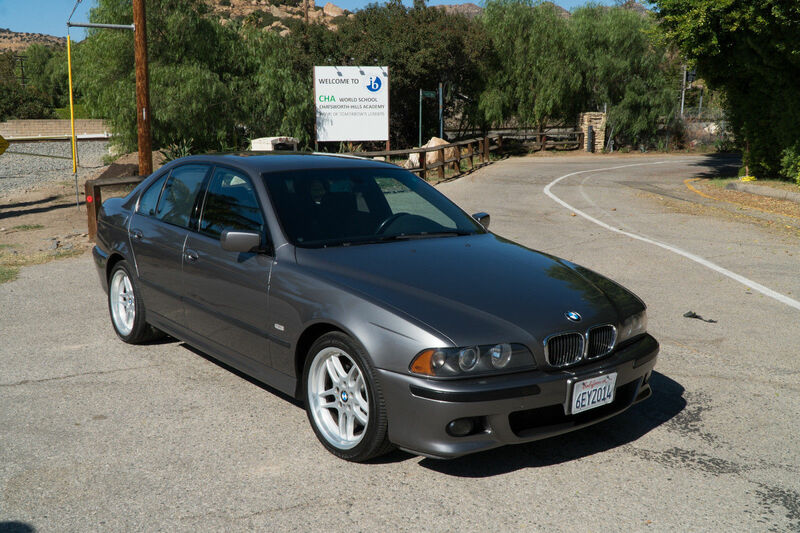 Starting in late 1999 for the 2000 model year, BMW replaced the “Sport” package on the E39 with the newly recycled “M-Sport” moniker. 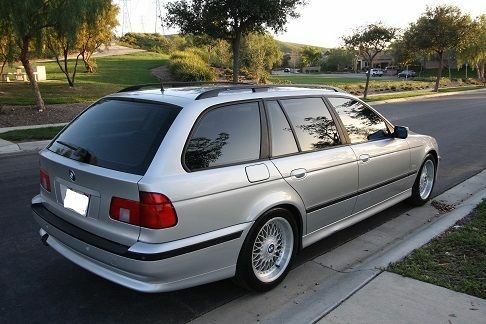 Of course, the M-Sport had been seen on the E34 before and carried M-bits over to the normal 540i model. 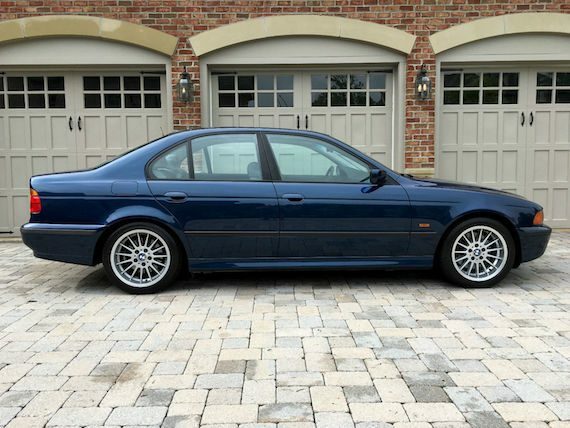 This was much the same for the E39; moving forward, the M-Sport models not only got the upgraded suspension and larger wheels associated with the sport package, but also gained a M-Sport steering wheel, shift knob and door sills. However, it wouldn’t be until the 2003 model year that the M-Sport reached its full potential when BMW slotted the M-Technic bumper covers on to create a ‘M5 light’ once again. In between, there were minor changes mostly notable for different wheel designs. In 2001, for example, the Style 66 wheels were used. Staggered at 17×8 in front and 17×9 in the rear, the wheels mimicked the design of the Style 65 18″ M5 wheels minus the second set of split-5 spokes inset. 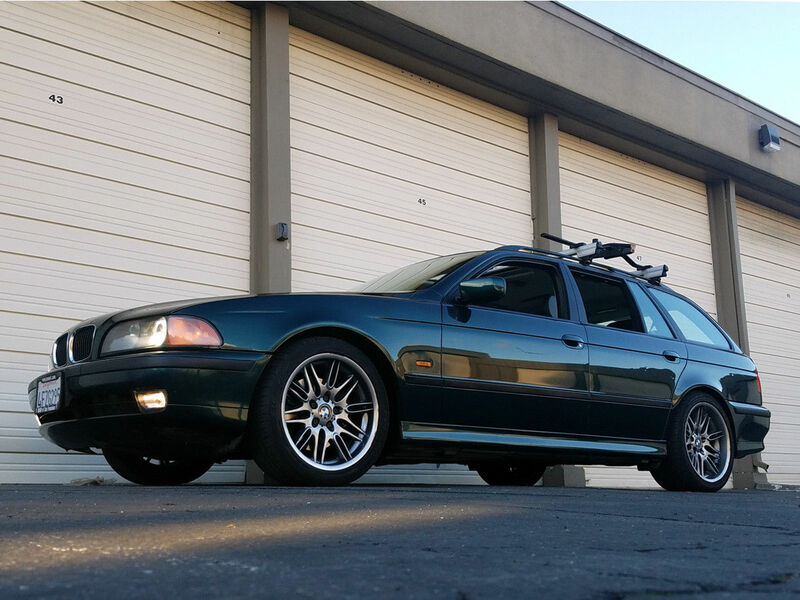 These wheels were also coincidentally the optional winter wheel package for the M5. But without the bigger bumpers and M-Parallel wheels associated with the 2003, the 2000-2002 models were much more understated in their approach and to most aren’t quite as desirable as the M-Tech’d models. Of course, when you find a showroom fresh one with only 1,890 miles, maybe that doesn’t matter? 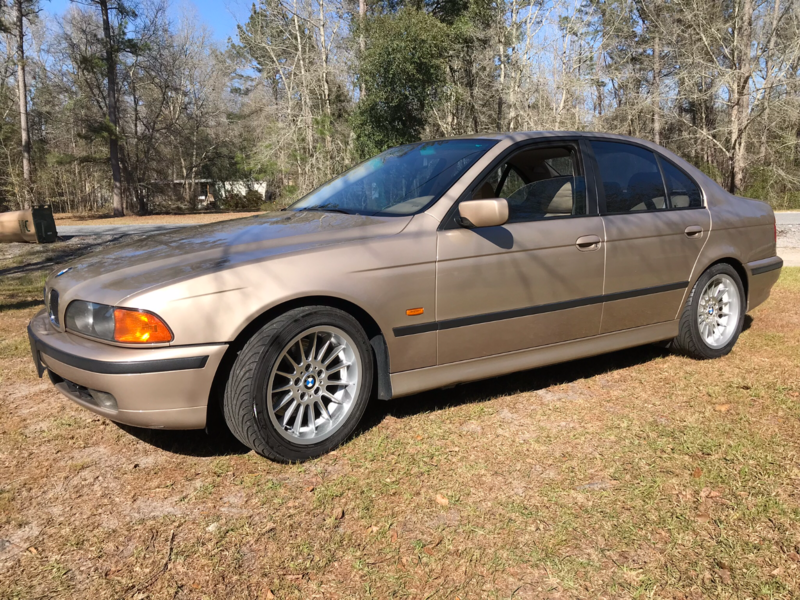 The E38 7-series is a firm favorite around these parts, a throwback to the pre-Bangle era in BMW styling’s department, before things got all fussy and bloated. With its angular lines and restrained, good looks, the E38 is a bit like a bouncer in a bespoke suit: brawny but sophisticated looking. Given that many of them were pressed into service as executive transportation, it’s not surprising theyÂ mostly appear in subdued colors like black, silver or gray. But every now and again a more adventurously colored car pops up, like this low-mileage example for sale in California. 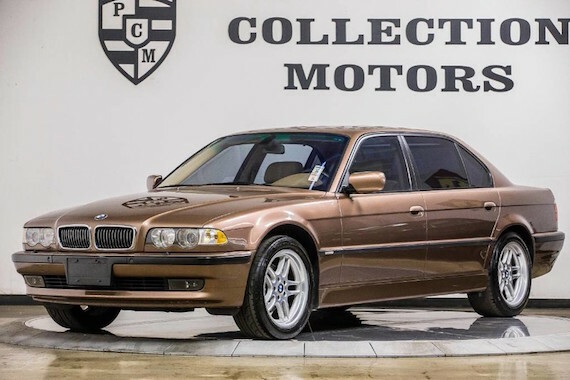 You’ve probably all readÂ Tavarish’sÂ Jalopnik article, “Four Reasons Why You Need To Buy A BMW E39 540i Right Now.” By this point, theÂ E39 540i is the worst kept secret in the German car world. 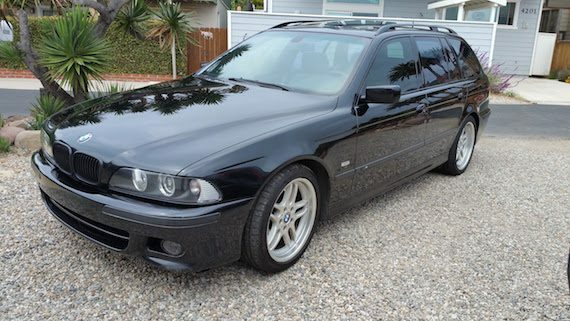 Offering something approaching theÂ performance of an M5, but with much lower maintenance costs, these cars make for fantastically involving daily drivers and can be had for not a lot of money. The taut and communicative chassis isÂ well served by the torqueyÂ V8Â motorÂ and, whenÂ combined with a manual gearbox, just begs to be put through its paces on a drive through the twisties. 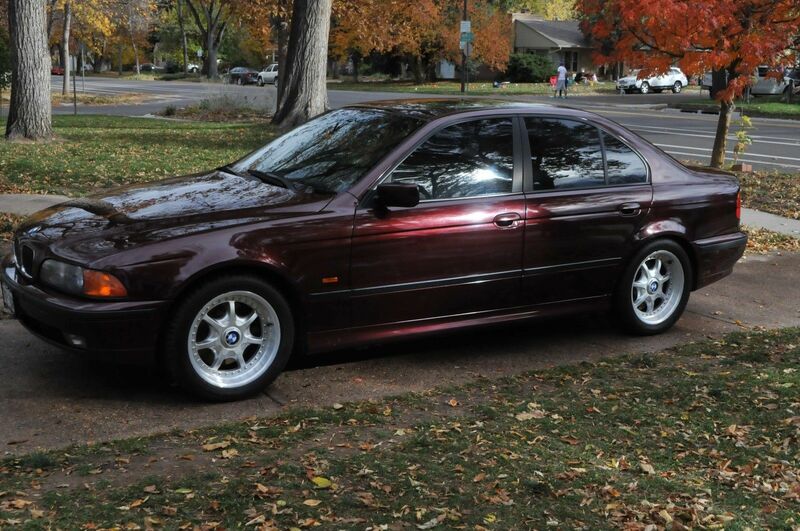 Hailing from the pre-Bangle era of BMW design, theÂ E39 is also an attractive car. Its sophisticated and somewhat conservative lines have aged well, with the result that these cars lookÂ equally classy and at home whether parked at theÂ shopping mall or the country club. 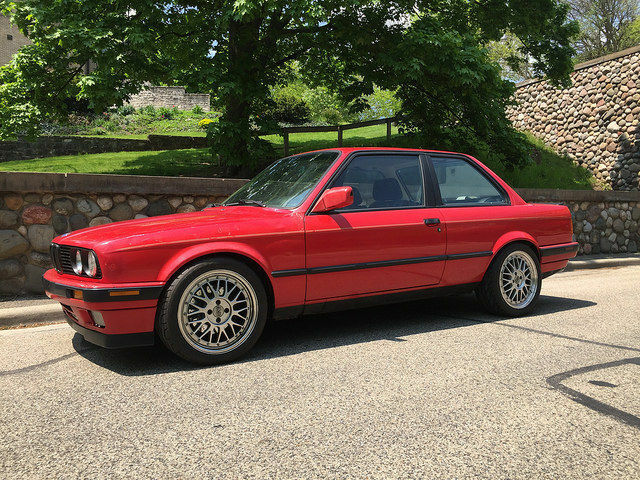 ThisÂ 540i forÂ sale in Maryland is a “sport” rather than an “M-sport” model. While it therefore lacksÂ the fullÂ M-tech bodykit offered on later cars, theÂ manual transmissionÂ and attractive wheel and color combination arguably makeÂ up for itÂ and addÂ to the car’sÂ Q-ship appeal.